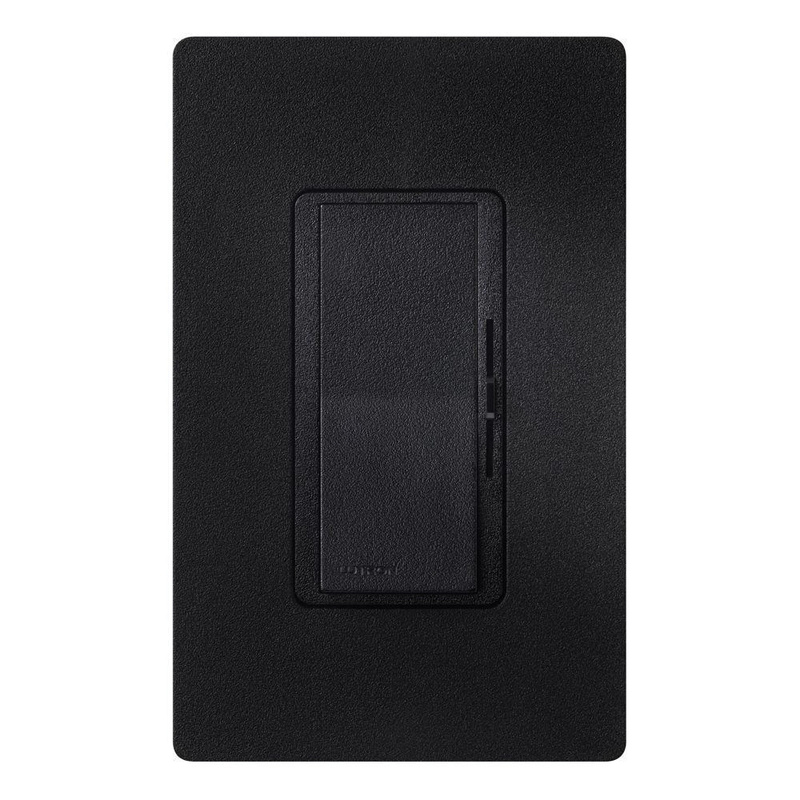 Lutron Diva® 1-Pole Preset dimmer has voltage rating of 120-Volt AC at 60-Hz and current rating of 5-Amps. It features a soft locator light in off-position for easy finding in the dark. Dimmer in midnight color, has linear slide actuator with paddle switch for controlling the brightness of the light. Dimmer in satin finish, has maximum load capacity of 600-Watts. Wall mountable dimmer measures 2.94-Inch x 0.30-Inch x 4.69-Inch. It is ideal for commercial/residential applications. Dimmer operates at temperature range of 0 to 40 deg C. Preset dimmer is UL listed and CSA/NOM certified.